Next: ARE RAVERS CARJACKING THE ELDERLY? 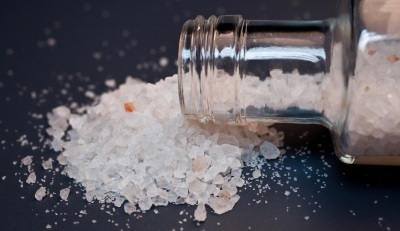 A Roxborough mother was arrested over the weekend after she accidentally fed her two year old daughter bath salts. “The mother had a long history of drug abuse,” says police spokeswoman Gina Bobina. “She was preparing lunch for her daughter while in a drug induced haze and didn’t realize that she had sprinkled bath salts over the plate of pasta she had prepared." Drug users aren’t always cognizant of their own behaviour says psychologist Bernie Madoff. “You can’t expect someone who is trapped in a spiral of drug addiction to behave rationally,” says Bernie. “It’s not uncommon for parents who have drug problems to share those problems with their children. Meth addicts often share their pipes with their children, coke heads often share lines with theirs, and bath salt users will frequently give some to their own kids. It’s a common problem that is rarely discussed by public health officials." Thankfully, the young girl received prompt medical attention and was spared major health consequences. “The doctors were lucky to get to the girl in time,” says Ms. Bobina. “Bath salts are incredibly dangerous. Grown adults are hardly capable of handling the drug, to say nothing of a frail two year old child." Dr. Madoff is calling on public health officials to step up and create a battle plan to help parents who struggle with drug addiction. “We are in desperate need of a system that will help track drug addicted parents and ensure they receive the help they need so that their children don’t suffer. This girl was lucky, many children aren’t, though."